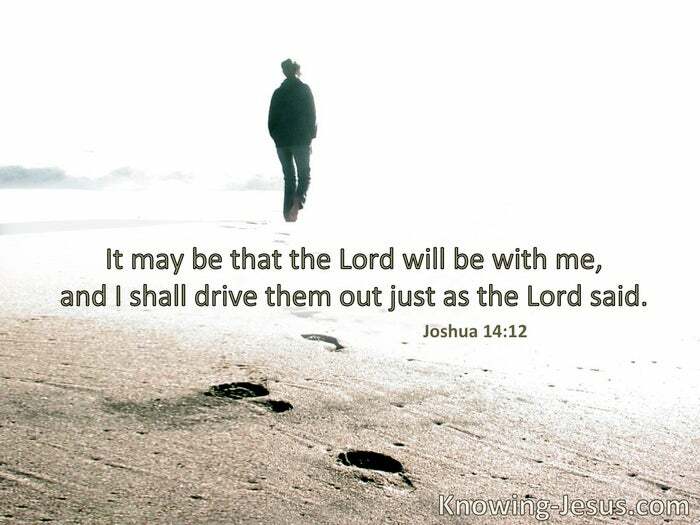 It may be that the Lord will be with me, and I shall be able to drive them out as the Lord said. He Himself has said, “I will never leave you nor forsake you.” So we may boldly say: “The Lord is my helper; I will not fear. What can man do to me?” § I will go in the strength of the Lord God; I will make mention of Your righteousness, of Yours only. 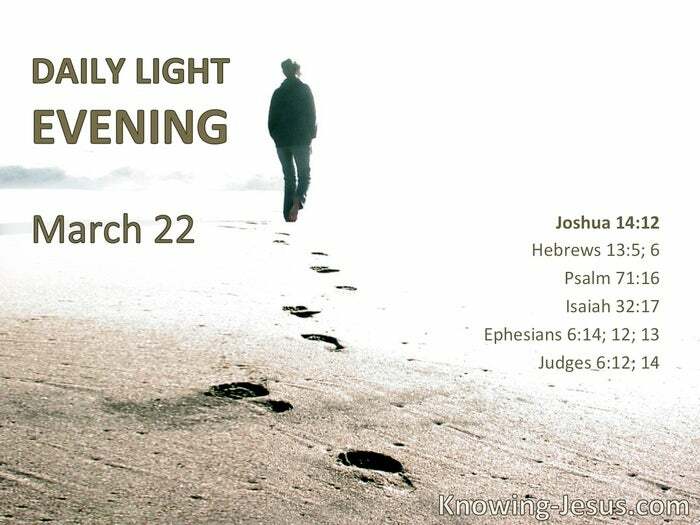 The work of righteousness will be peace, and the effect of righteousness, quietness, and assurance forever. Stand …, having girded your waist with truth, having put on the breastplate of righteousness… For we do not wrestle against flesh and blood, but against principalities, against powers, against the rulers of the darkness of this age, against spiritual hosts of wickedness in the heavenly places. Therefore take up the whole armor of God, that you may be able to withstand in the evil day, and having done all, to stand. § The Lord is with you! Go in this might of yours.